ActionDisc and your trolling fly or bait to lock-in the perfect swimming action. Each package contains 6 stoppers. 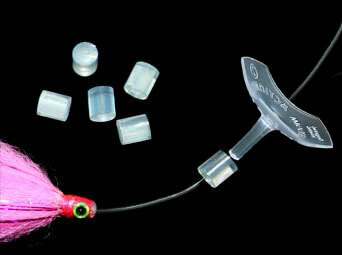 WiggleFin Tackle is a family owned company developing innovative tackle for over 16 years. We take pride in the quality of our products and value the anglers that we serve.